Krsnacandra Dasa – Vrndavan: The understanding of leadership is needed to be carefully studied. Leadership is an organic process that is afforded to individual who have the necessary qualities to lead. However, in the modern world leadership is a position that one assumes. This position is given by the organization or society on various bases that are more political than qualification dependent. By qualification it is meant ones qualities to lead as opposed to credentialism and/or professionalism. Within the ISKCON hierarchy one assumes a position according to the person’s ability to be a team player and not due to their innate qualities and level of spiritual realization. 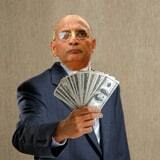 Here at PrabhupadaVision.com we believe that in the general body of devotees there are many good and qualified leaders who have not been given the opportunity to lead as the present corrupt ISKCON leadership oligarchy has a monopoly on all leadership positions within ISKCON. It is also understood that a good leader is also in possession of a good intelligence. Therefore many good leaders within the general body of devotees are wise enough to know that the leadership of ISKCON has been corrupted and they ‘naturally’ distance themselves from this corruption. As we know, in attempting to solve problems one must first discern that there is in fact a problem and once that is accomplished then half the battle is won. Now in ISKCON, I believe, we have recognised that there are in fact problems within our movement. We also understand that our problems do not only arise from external factors but also as a product or symptom of some form of dysfunction within our organisation. The next logical step would be to try and understand more specifically the exact nature of the problems, seek out their root causes and make the adjustments required to change in order to affect an appropriate and feasible solution. This document presents a process for identifying the root causes of our problems and attempts to discuss what is needed in order to change the present situation. ‘Systems theory’ is that ‘the part does not operate separately from the whole’. Further that the practical application of authority and leadership is descending as opposed to ascending. Of most importance is that the mood of our interactions (sat sanga) is in the mood of Bhakti. Many problems are only in existence due to having improper leadership. This is especially true when the leadership changes some program or policy that is not in keeping with the aims and objectives of the organization, in our case Srila Prabhupada’s instructions. Thus the ‘set’ of problems that the organization is experiencing has more to do with misalignment of purpose rather than problems born out of the original purpose. Hence frustration and apathy set in as a natural consequence of attempting to sort out these problems as they do not ‘mesh’ with the original purpose. In order to be a good leader one must harmonize all three aspects. A further point to consider is that Vaisnava’s do not see position and other such considerations as a sign of seniority. They consider a person’s spiritual realization as a sign of seniority. Thus unless our leaders are properly situated according to these standards our leaders will only be able to lead devotees with, charisma, force and coercion as opposed to spiritual realization. As time goes by we are seeing tangible evidence of devotees not accepting force and coercion by unqualified leaders. Unfortunately the damage that the use of force incurs hurts our members emotionally, leading them many times to have nothing to do with institutional ISKCON or even to the extent of taking shelter outside of ISKCON. This process, leaders must accept as being their responsibility and take what ever measures are required to rectify the situation. Force will always be the tools of a person who is working in a role that they are not qualified to do. The term ‘qualified’ means qualified by both the person’s qualities and their accomplishments. By qualities it is understood by Sastra as being the persons varna. By accomplishments it is understood to be the actual fruits of their activities. Another consideration is that when we look at a triangular concept and see at its base is bureaucracy and the middle section is Dharma and the pinnacle is bhakti. Bureaucracy: The base is where law is found. This law is there to protect the members of the community but it is impersonal and impartial. It is enforced by rules and punitive measures that are not based on justice but in many cases on argument and precedent. This type of society is based on sophistry. If this system breaks down by the election of unqualified governments, the members of the community are left to the wiles of unscrupulous individuals within the bureaucracy. There is little protection for the individual within this system. Dharma: The middle is where justice is found. Justice is dharma. Here there is law but it is based on correct (Sastric) principals and enforced by the ‘idea’ of justice. Here are found the adherents of Varnasrama dharma. The individual is protected by a community that is based on the absolute truth. Bhakti: The topmost is bhakti where there is law and justice but the way that it is enacted is with love in relationship to the object of that love, Krsna. 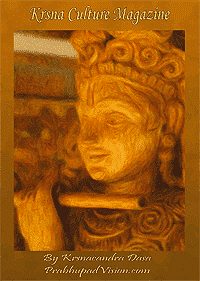 ISKCON is meant to use bhakti as its operating principal. 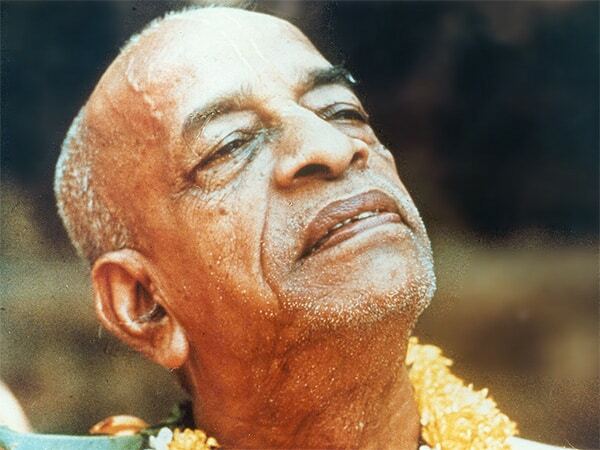 Srila Prabhupada wanted his movement to be run on love, trust and affection. However, if we analyze where ISKCON is presently operating we will find that it is operating under the base level. That is the bureaucratic level where our leaders see the solutions to be institutional as opposed to spiritual and personal. Further scrutiny will find that we are not in fact truly operating under that level as there are few if any checks and balances for the leadership of our communities. In the non devotee world there are institutionalized services there to protect the community members from either individuals in government departments or other members of the community. These people are recruited via stringent controls, trained, supervised and paid to protect the individuals within the community. In ISKCON we find that there are no such control mechanisms in place for the recruitment and supervision of these protectors of the community, what to speak of the positions themselves. So we are operating under what can only be described as ‘bad bureaucracy’. Here the loser is not only the rank and file individual, but in the long run the members of the institution, by karmic reactions for failing to protect the members of the community. 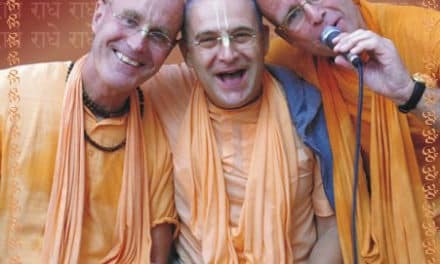 To develop relationships based on bhakti with devotees in relationship to Krsna. To give the holy name, Srila Prabhupada’s books and prasadam to the non devotee. Motivation is what drives us to act in any given situation. Motivation is a huge topic and one that requires extensive discussion and deep introspection in order to fully understand. When we speak of someone being ‘motivated’ we think in terms of what they personally hope to achieve when they act in a certain way. In order to be a good leader ones motives must be to benefit others, ISKCON, Srila Prabhupada and Krsna. They must have the desire to protect according to their varna. If ones motives are to gain something personally such as; fame, admiration, money, position etc then one can understand that the person’s motives are not pure. Emotional maturity is another factor that we must take into consideration when discussing motivation. Ones motives are usually based on some emotional imperative. That is we can act and/or think out of fear, love, hate, compassion etc. Emotions and our ‘desires’ are what shape and provide the impetus (inspiration) for our motives. Our desires are based on what we ‘feel’ about something. The greater degree that we feel about something, the impetus to act on that feeling increases. For example one may feel angry and frustrated about how they were never listened to as a child and so when they are not listened to as an adult they may feel the same way, but they are more able to do something about it. They may seek a position where they will have to be listened to. Of course this is rather simplistic but it only serves to illustrate the point. The results of someone acting out of fear, hate, envy, frustration etc, will be necessarily negative and therefore counter-productive, so it goes without saying that a person acting out of love, compassion etc will be positive and therefore productive. Sincerity is another factor involved in motivation. That is if one is motivated out of negative reasons then ones sincerity will not be pure. When we speak of sincerity we speak of ones desire to engage in loving service to the Lord and His devotees without personal (material) envy or personal (material) motivation. That is to give without seeing the act of giving as a transaction based on the desire to ‘take’ or ‘receive’. Srila Prabhupada has said that we must do like this and be able to discern what in fact we are doing with regards to that particular instruction. Then we will see whether or not we are actually doing exactly as he has instructed or doing something of our own fabrication. This is an extremely difficult motivation to perceive within us or within something that we may be assessing as a leader as the results may be temporarily positive and pleasing to the vox populi. This is an extremely important aspect of motivation. To apply Srila Prabhupada’s instructions, one must have the proper philosophical orientation. Here one must be able to discriminate the difference between applying ‘Vedic’ as opposed to western thought to the application of Srila Prabhupada’s instructions. It is imperative that we differentiate between our Judaic-Christian / Hindu backgrounds and the Vedic perspective in order to properly implement Srila Prabhupada’s instructions. If we fail to do so then we shall simply implement processes, programs and policies that are coming from the western mind set and not the Vedic. The deviation is subtle but the results are gross. When Srila Prabhupada instructs us to open a Gurukula to educate our children we open a western style and focused boarding school. Then through failing to achieve the desired goals after the improper application of Srila Prabhupada’s instructions we will see more and more attachment to the social and cultural milieu of western consciousness as directly opposed to the Vedic. They have decided to use western ethos as Srila Prabhupada had given us the ability to adjust things as he has left some of the details of his instructions up to us. Even though he made no such distinction with education. 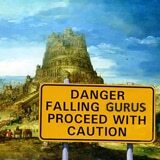 So when the Guru asks for water. Thinking for ourselves we bring him water with lemon juice and electrolytes in it as the weather is hot. However we did not listen to what he was saying many times before that he has a severe intolerance of lemon and electrolytes. We can keep on bringing him this drink as we have taken up this service but can we be sure that he will drink it? These devotees are well intended in some cases but usually they have not really thought deeply on what Srila Prabhupada instructed us to do with regard to the education of our children. The darker side of this is that the person may in actual fact think that Srila Prabhupada was wrong and that they know a better way. This is a tragedy of sorts as the devotee has lost faith due to insincerity. As in the above example it is absolutely clear what the guru said and therefore what the guru means. Desire to be a leader is a good thing and must be present in a leader. However, the persons ‘actual’ motivation is what really matters in the makeup of a leader. Trust is a natural consequence of correct motivation. Again, as with Srila Prabhupada, devotees will always ‘trust’ Srila Prabhupada as he is so pure in his sincerity to serve his guru and Krsna. Trust is also there in the other aspects (knowledge and power) but it is in the sincerity of the leader that trust is actually based. A leader will command the trust of his followers if he is able to use his knowledge and power with fairness, integrity, wisdom, truthfulness and above all love. Another vital aspect of trust is, as a leadership position is either for the brahmana or ksatriya varna it is absolutely imperative that the leader does not engage in lying and deception. The Ksatriya may use diplomacy but they must never lie. The last pillar of dharma is truthfulness and if the leader engages is lies and deception then the members of the community will never be protected. Love is another factor of motivation. Love can be understood by the term ‘caring for others by serving them’. This is another comprehensive topic and one that also needs further study within our movement. One of the symptoms of a lack of love and/or correct application of love is comments from the rank and file, regarding our leaders, such as ‘they don’t care’… So caring for ones followers, what to speak of all living entities is also an aspect of Srila Prabhupada that is unquestionable. Motivation is in fact the very pivot point and foundation of the other two aspects of effective leadership. Therefore a leader is required to be emotionally mature and balanced in order for them to provide the correct motivation in leading others. We understand knowledge to be knowledge of Sastra. A leader must use their own knowledge of Sastra and/or knowledge gained through the use of others to fulfill Srila Prabhupada’s vision. Therefore a leader must use their knowledge to better understand what action is right, as opposed to what action is wrong, in order to fulfill the vision and therefore mission statement of our movement. The aspect of knowledge that is of concern here is the ability of a leader to utilize the knowledge and skills of others in order to act appropriately in any given situation. To use others in this manner requires great skill and a degree of security in ones position. Leaders who are properly motivated can see the value of including others in the acquisition and utilization of knowledge in order to achieve the aims and objectives of the organization. The last aspect is power. As opposed to the use of knowledge and position (both spiritual and mundane) to force or coerce compliance. The later is the use of knowledge as a weapon as opposed to an anga of bhakti. Another word that may be used to understand power is wisdom. Wisdom is true power. The ability to cognize and assimilate the result of the application of knowledge applied according to Sastral injunction, is true power. Power is the ability of a leader to effectively control as well as utilize others to achieve the aims and objectives of the movement. The proper utilization of power is very important in order for it to be effectively developmental. A leader does not use force in dealing with others but acts in a consultative manner. The use of force only serves to alienate others as opposed to endearing and therefore bringing out the best in them. Someone talking ‘at’ or ‘to’ another person as opposed to talking ‘with’ them. When a leader uses position and knowledge to talk ‘at’ or ‘to’ a person it places the person in a ‘subordinate’ position which is necessarily disempowering. The adverse of that is talking ‘with’ a person which is more consultative and therefore places the person on a higher platform and serves to empower the person. Another aspect of power is the ability of a leader to effectively delegate responsibility to others. This is an important aspect of power and it requires that the leader is non envious and confidant in their position in order to hand over responsibility. It also means that the leader must be astute enough to evaluate the qualities of the person they delegate with responsibility. It is interesting to note that a Brahman’s effectiveness may be more easily understood as ‘influence’ rather than ‘power’. The Brahman uses their relationship and knowledge to influence rather than the use of manpower or position in order to affect change as would the Ksatriya. The only manner in which one may effectively apply the above three prerequisites of leadership is to look to the principals of Varnashrama dharma. Here we will see the pure application of leadership and how it relates to the proper functioning of our society. The varnas are designed to gather individuals of various leadership qualities into effective working relationships. Srila Prabhupada has given that ISKCON is his body. So his body is made up of all the four varna’s. The understanding of the varnas is also a major factor that requires further discussion. It is not simply that one desires to be a certain varna that one is naturally accepted as being of that varna. As we know Arjuna desired to act like a Brahman… It is more to the point that one possesses the specific qualities of a particular varna in order for one to be assumed as belonging to a specific varna even though they may be presently engaged in the work of that particular varna. Srila Prabhupada said that our movement was to pick up the first class person and train them up to become ‘Brahmans. 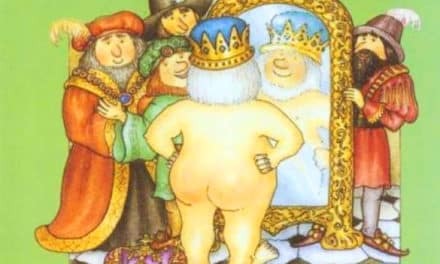 So one may rationalize: ‘Well I was picked up by the movement so that means that I am a Brahman’… When we analyze this assumption more closely we will find that a Brahman is determined by ones actual qualities as opposed to any other consideration, such as; birth, desire, elected position (work), initiation, etc. We may also find that it means that we are not as yet good at recognizing let alone picking up Brahmans, what to speak of allowing the ones that we have to act as Brahmans. The roles (or work) are already in existence the only thing that is lacking is the placement of individuals into the various positions according to their qualities, not personality or academic qualification. A person’s qualities are distinctly different from their personality. It is important to discern the differences between a person’s ‘personality’ and a person’s ‘character’. A person’s personality is the sum total of the physical, mental, emotional, and social characteristics of an individual. Whereas a persons ‘character’ refers esp. to moral qualities, ethical standards, principles, and the like. A person may have a stern and serious personality and another may be more jocular and yet another is quite, meek and studious. However, until we can see how a person acts and reacts in any given situation would we be able to discern the person’s inner qualities. The Brahman may be any of these personalities but they will be truthful and act with integrity at all times. They will never lie or evade the truth or be involved in activities that are dishonest. They will be clean both of appearance and externally they will live in clean and tidy areas. They will be involved in researching and advising others on both material and spiritual solutions for their lives or working with Ksatriyas or Viasyas by giving them advice on their respective duties. All of this will be done in relationship to guru, sadhu and Shastra. The Ksatrya will also have various personalities; however, will be always engaged in looking after people and making sure that they are protected in all areas of their life. They will find it easy to listen to advice from learned people and never back down from protecting innocents. They will not be as studious as the Brahman for they will not have the need as they will be easily advised by the learned. Not only will they act with integrity and strength of character and arms for the protection of all people but also all living entities under their protection. The Vaisya will also have different personalities but they will be engaged in farming and cow protection or other such business. They will have wealth and will not have to toil too hard to obtain it. They will have an understanding of where that wealth comes from and therefore give some of it in charity and to look after their community. They will take advice from others and especially the Brahman and Ksatriyas. They will not be so interested in study but they will be interested in protecting the community as they recognize the role that they play in the community and therefore how a healthy community means a healthy supply of wealth. The Viasya will also act with integrity, they will be truthful but they will not be as truthful as the Brahmana and Ksatriya as they are required to bend the truth a little for the sake of making a profit. The Sudra is also of varied personalities. They have the qualities of being easily able to listen to instruction and carry them out. They are actually happier if they are given work to do rather than having to arrange for their own work and therefore financial security. The sudra is truthful to the degree that they are engaged in service but they do not have the ability to act truthfully if given too much responsibility. Therefore for them to assume the role of another varna one will see that they will not be able to act independently and have the integrity that the other varnas require. If they assume the position of another varna they are more likely to cover things up or ‘sweep them under the carpet’ so to speak as they do not have the internal resolve to speak the truth. They are also more likely to listen to bad advice for they have not made a thorough study of Sastra and therefore can be easily influenced. They can be individuals who are well learned in various disciplines or possess mundane qualifications, but it is their lack of depth of understanding, integrity and astuteness that is able to be observed when they act in the role of another varna. So to understand leadership from this perspective one must let go of any non devotee paradigms and opinions of what is and what is not a leader. That we are an eloquent speaker. When leadership acts in accordance and harmony with this, we will see the fruits of such action. The qualities of the fruits of our actions are directly proportional to ones chastity to Srila Prabhupada’s instructions. The various ashrams of the Varnasrama system are designed to facilitate ones service. So in this manner we may understand what role a person’s varna plays in the leadership process. Although in our movement we do not have a good history of the Grhastha Ashram it is however, still the most understood and properly situated ashram. The Brahmacari and Brahmacarni ashram is a stepping stone for the other ashrams and so is also well understood. The Sannyasi and Varnaprastha ashrams are the most influential ashrams of the varnashrama system and therefore require more consideration in the leadership process. It is these two ashrams that provide the necessary leadership and support for the other ashrams. See that a leader is not necessarily a popular figure. They are someone who is given the position due to their innate qualities of leadership as described above. See that, we are properly situated within our correct varna and ashram. See that, we are at the very least attempting to be motivated out of love and sincerity. …If we can say with reasonable honesty that we are properly situated (albeit untrained) then we will be able to effectively lead others in fulfilling Srila Prabhupada’s mission. Denial – They refuse or cannot see that there is a problem with either themselves or what they are doing. Blame (Scape-goating) – They externalise the responsibility for problems and therefore blame others instead of trying to improve their own shortcomings. Silence – They put up a wall of silence in order to distance themselves from accountability for their inactions or actions. Deflection- They ‘focus’ attention away from the problem and onto some other activity or person in order to not be held accountable. Or they deflect the problem to someone else in order not to have to deal with it. Sophistry – They use pseudo rationalizations in order to bluff their way out of facing the real problem. Or they make excuses. Sob Storying- They claim to be a martyr by proclaiming that they are forced and therefore reluctant to take on the role that they are ‘acting’ in. Force – They use force and coercion in order to achieve compliancy. Truthfulness – They have the courage and integrity to admit that they are wrong. Responsibility – They take responsibility for their position and any subsequent problems that arise. Communication – They communicate with others in order to better deal with duties, responsibilities and problems. Focus – They focus their attention on trying to solve problems and endeavour for improvement. Wisdom- They attempt to learn from past experience or utilise the knowledge and skills of others to deal with their duties, responsibilities and problems. Acceptance – They accept their role and position and therefore use it towards the betterment of others. They also accept the service of others in the application of their duties. Empowerment- they use love, trust and affection in order to develop healthy relationships with others in order to properly lead them. Prabhavisnu – What Can We Learn From Him?